So, with the inside completed, it was time to paint the outside. As I said earlier, it only just fitted inside my spray booth so it was somewhat of a challenge. 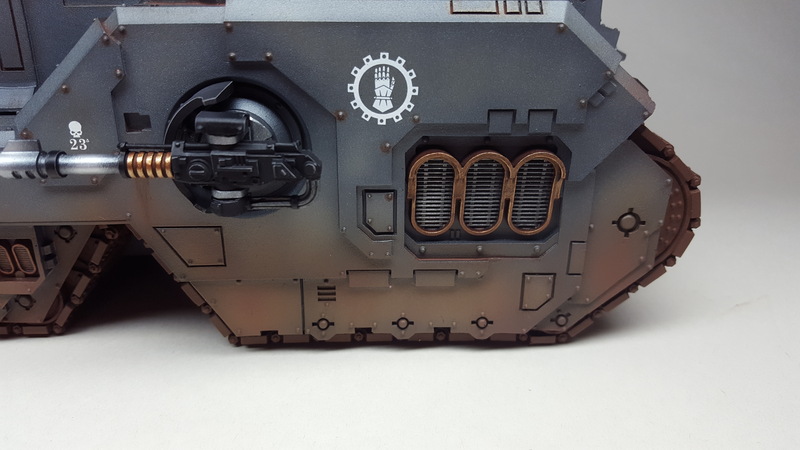 I used Scalecolour Black Metal for the base colour, followed by Scalecolour Thrash Metal to highlight the centre of the panels. The whole model was then sprayed with an equal parts mix of GW Nuln Oil, Coelia Greenshade, Druchii Violet and Drakenhof Nightshade. Once dry, I edge highlight with Scalecolour Heavy Metal. For the dust effects, I used Vallejo Rust, stating with Light Rust mixed 50/50 with Forge World Medium. This allows the paint to be applied in light semi-transparent coats which can be built up to create gentle transitions. This was followed Medium Rust, and lastly Dark Rust. These were applied in short vertical strokes with the airbrush. 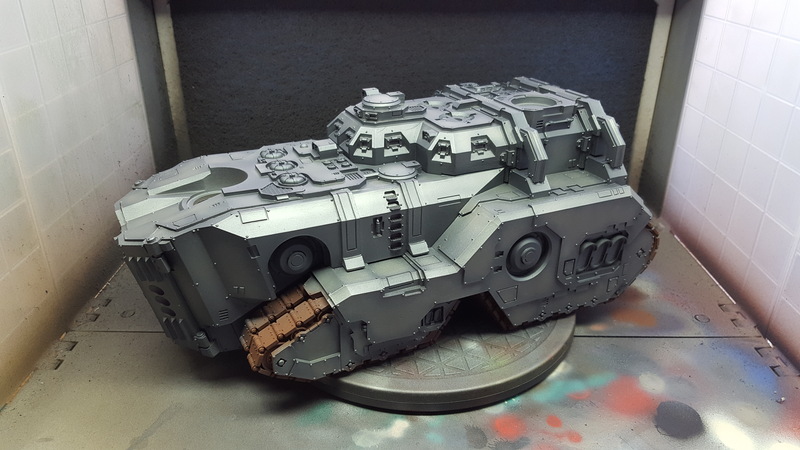 Previous Previous post: The Mastodon Heavy Assault Transport, part 1. 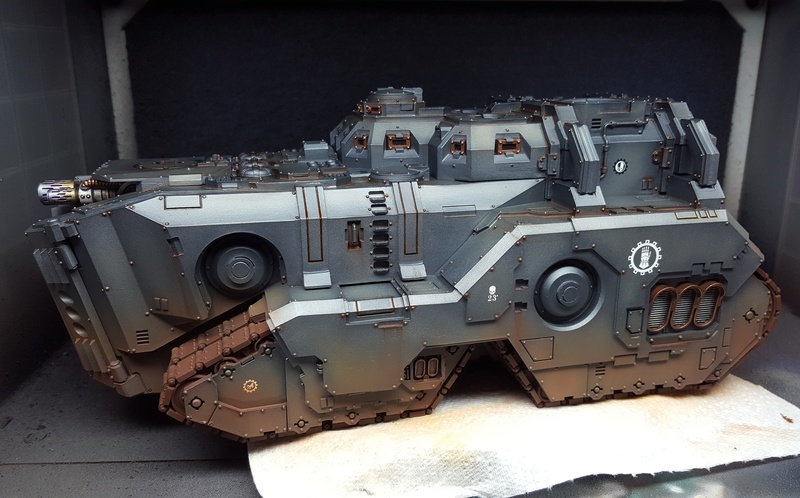 Next Next post: The Mastodon Heavy Assault Transport, part 3.